It’s that time of year again; the days are shorter, the nights are longer, and stuffing your face with holiday treats is not just allowed, it’s encouraged. It’s the perfect time of the year for cozying up on the couch with a great book and a cup of cocoa or glass of wine…basically our ideal habitat realized. Like watching your favourite Christmas movie, settling in with a festive read is a great way to revel in the spirit and magic of the season, and there’s an abundance of amazing stories to choose from—we’ve taken the guesswork and the searching out of it by sharing with you a few of our festive favourites. And with the power of public domain, we’ve tracked them down online so you can download your faves onto your e-reader (or scroll away those last few hours before the office Christmas party while looking like you’re hard at work on those sales reports). CHRISTMAS MYSTERY!! One of the original fifty-six Sherlock Holmes stories takes place in London over the holiday season. 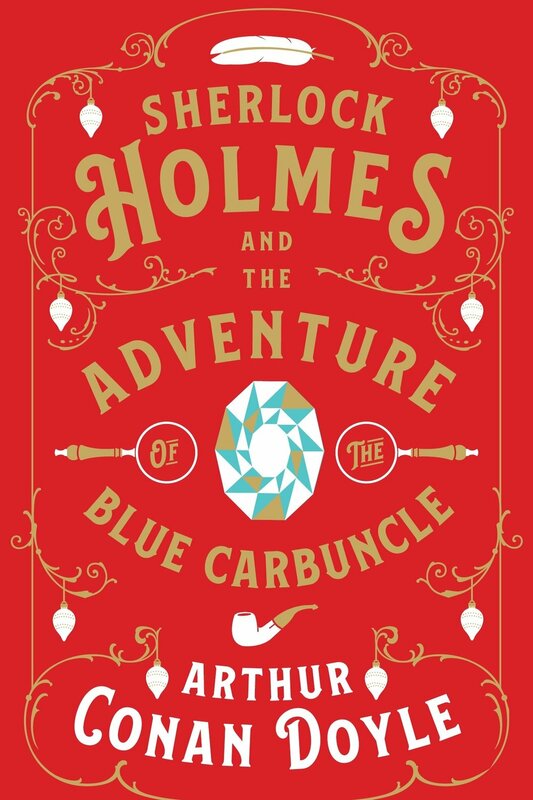 The story starts off when a priceless jewel, the Blue Carbuncle, is stolen from the hotel suite of the Countess of Morcar. Any more detail would surely give away the plot, but let’s just say it involves a very literal Christmas goose chase. Read the story here! Though Truman Capote is typically recognized for his non-fiction essays and novels, including his most famous true-crime novel In Cold Blood, “A Christmas Memory,” one of his earliest works, is rather different, and is recognized as a holiday classic. The autobiographical story revolves around Buddy, a young boy who lives with his strict, authoritarian family and his best friend, who happens to be an older cousin. Although his family is quite poor, he and his cousin are determined to celebrate the holidays together by baking fruitcakes, making homemade gifts, and decorating their Christmas tree. There’s a rather poignant twist towards the end, so we’ll save you the spoilers! A sweet read, “A Christmas Memory” is sure to get you in the holiday spirit. Read it here. Letters From Father Christmas is an epistolary collection, written by the father of epic fantasy for his children from 1920 to 1942, in the form of handwritten letters from Father Christmas. Following Tolkien’s death, the letters were edited and turned into a book. They contain several stories of the North Pole as told from the point of view of Father Christmas and his elvish secretary. Though written for a younger audience, Letters from Father Christmas are a true example of the magic and wonder of the holiday season. See some of the sweet excerpts here. Interested in what a professional editor can do for you? Check out our services page, or book a free call with JEC founder and editor-in-chief, Kate. 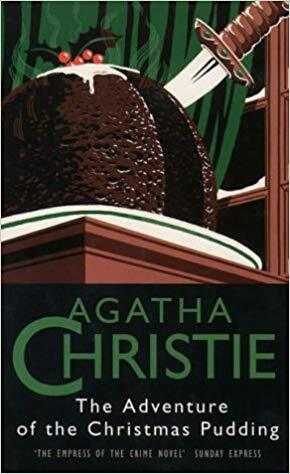 Originally published in the UK in 1960, The Adventure of the Christmas Pudding and a Selection of Entrées is a short story collection featuring Christie’s two most popular detectives, Hercule Poirot and Miss Marple. In “The Adventure of the Christmas Pudding,” Poirot is on the case to help recover a stolen royal ruby and ends up spending the Christmas holidays with a family who is suspected of knowing its whereabouts. The story is fraught with secrets and danger and is a great read if you’re after something that will have you clambering under the covers! Read this story and the entire collection here. If you haven’t heard of this classic Christmas story you’re in a for a true treat! Published in 1905 by the master of the short story himself, the tale centers around a young couple who, despite being poor, still want to buy the perfect Christmas gift for one another. We’ll have to stop there to avoid ruining the ending, but let us assure you that this story will make your heart swell and remind you about the true meaning of the holiday season! It’s so good in fact that it has gained parable status; rest assured you’ll feel warm and cozy inside and out. Read “The Gift of the Magi” here. It wouldn’t be a proper Christmas reads list without a little Dickens, would it? Before or after you watch the Muppets Christmas Carol, why not give the original a whirl? The Victorian tale of miser Ebenezer Scrooge being visited by the ghosts of Christmas Past, Christmas Present, and Christmas Yet to Come and learning compassion is a moving and timeless one, as the book’s many stage, television, and film adaptations attest to. You can read this classic Christmas tale here. Time to pour yourself a cup of cocoa, nestle in some fluffy blankets, and get reading! Working on a manuscript of your own, but unsure of what the next step to publication is? Download our free Publishing Guidebook for a step-by-step guide to publishing perfection!